Do you know how you run? A study on foot strike patterns. In the past three years, for my PhD, I had the chance to evaluate the running technique of around 250 people. I dealt with a wide spectrum of experience levels an running styles. The most common feedback I received, though, is that people don’t know how they run. Even semi-pros. 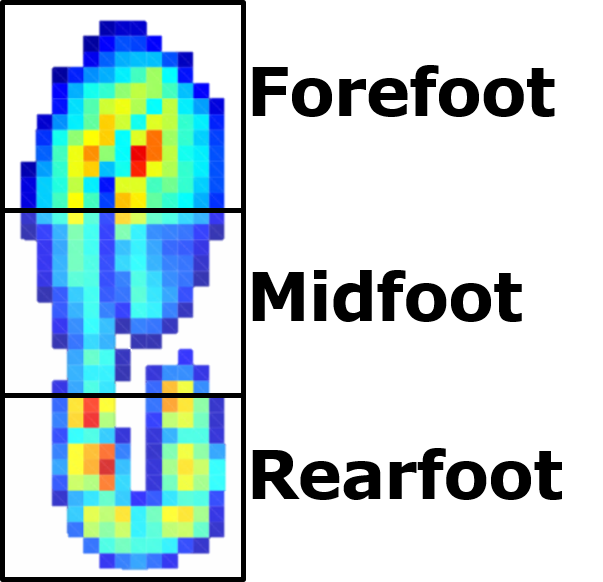 An article about foot strike patterns, of which I am the first author, was published two days ago on the Annals of Biomedical Engineering. 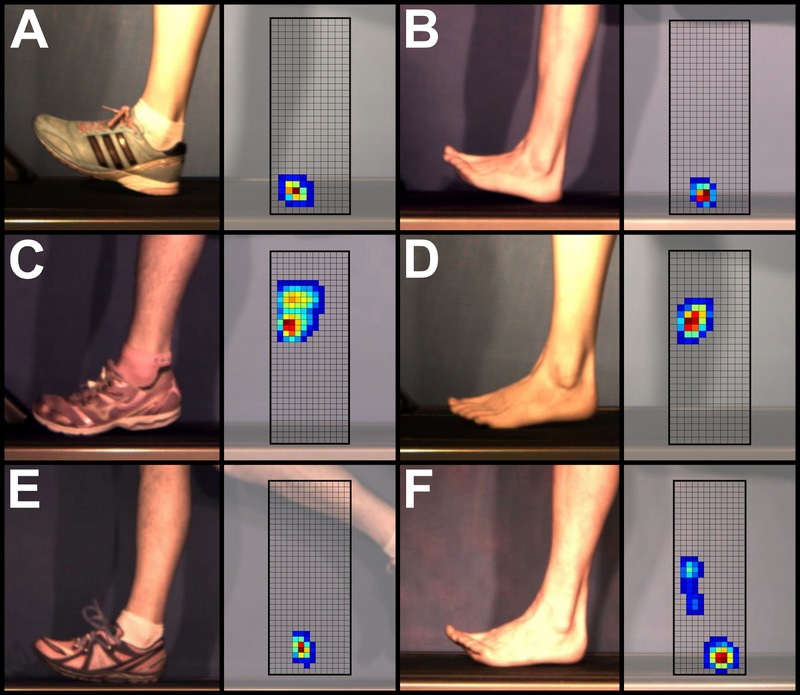 This study was mainly aimed to validate an automatic foot strike patterns assessment method. But what is the foot strike pattern (FSP)? Nothing more than the way our feet come in contact with the ground. If you simply divide the foot into three equal parts, you can call them fore- mid- and rearfoot (see Figure 1). Figure 1 Foot division and nomenclature. By looking at which of the three parts comes first in contact with the ground, one can determine the FSP and classify it as forefoot, midfoot or rearfoot strike (FS, MS and RS, respectively). It would be possible to use a videocamera to analyze this kind of events, but we went a step further by using a pressure plate integrated in a treadmill. With an algorithm we developed, we are now able to recognise the FSP automatically, without the need of looking at the data. In Figure 2 you can see what happens on the pressure plate at impact and the relative video frame captured by a slow motion camera. Figure 2 Video and pressure plate data for different FSPs. Funny thing is that, if you ask the people how they think they run, very often they cannot predict their FSP. Interestingly enough, though, it is very likely that they will show a RS pattern while running shod. 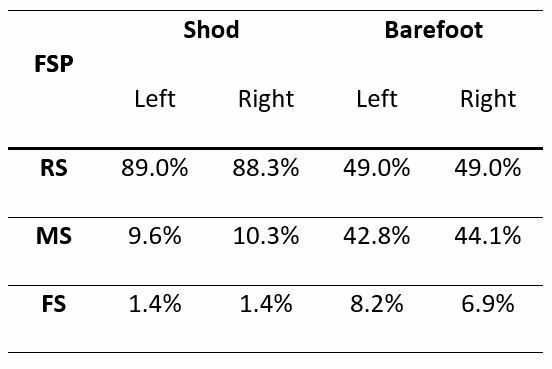 Across the 145 people measured (85 male, 60 female) almost 9 every 10 were striking with the heel first when wearing shoes. On the contrary, only 5 out of 10 were keeping this kind of pattern when running barefoot (see Figure 3). Apparently, the fear of getting hurt prevails on the well-established coordination patterns. Figure 3 FSP distribution across two running conditions at preferred speed. The reasons why people choose one or the other FSP are far from being completely understood. And this is what makes my job awesome.